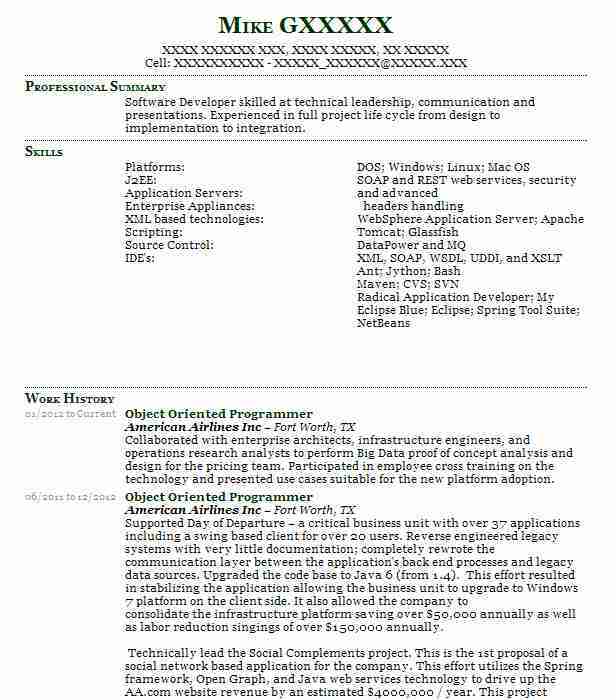 Object-Oriented Programmer with extensive experience in the field looking for an opportunity to use my knowledge to be an asset to a company in need. There are plenty of opportunities to land a Object Oriented Programmer job position, but it won’t just be handed to you. Crafting a Object Oriented Programmer resume that catches the attention of hiring managers is paramount to getting the job, and LiveCareer is here to help you stand out from the competition.